Most imaging books are ordered according to underlying etiology. However, in real life clinical practice, radiologists usually make their differential diagnoses according to the image patterns, as the etiology is often unknown. Brain Imaging with MRI and CT presents over 180 disease processes and normal variants, grouping entities by these basic patterns to accentuate differential diagnostic features. High quality CT and MRI scans show multiple typical and distinguishing images for each entity. Common and unusual clinical scenarios are described, including dilated perivascular spaces, capillary teleangiectasia, Susac's syndrome and desmoplastic infantile ganglioglioma. Both basic and advanced imaging techniques are used, reflecting the reality of clinical practice. This image-focused book emphasises the most pertinent clinical information relevant to the diagnostic process. 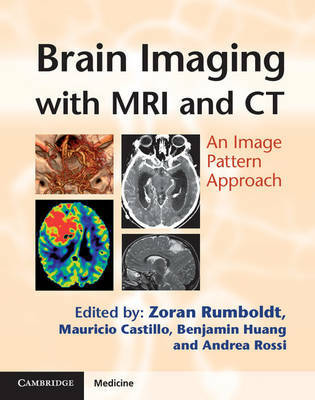 Trainee and practising radiologists will find Brain Imaging with MRI and CT an invaluable and clinically relevant tool for learning and teaching.